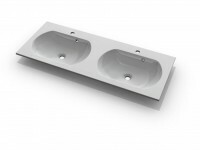 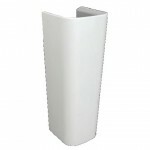 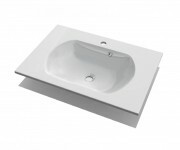 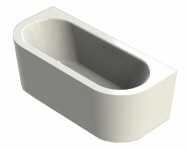 Square washbasin 46×46 cm without overflow. 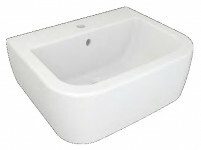 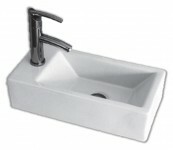 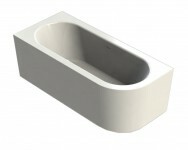 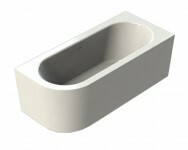 Rectangular handwash basin. 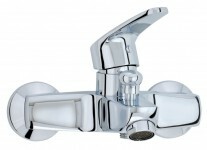 Lateral faucet hole diam.35 mm. 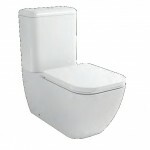 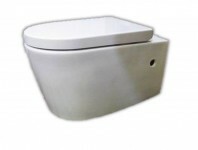 Wall-hung rimless toilet complete with soft close seat.